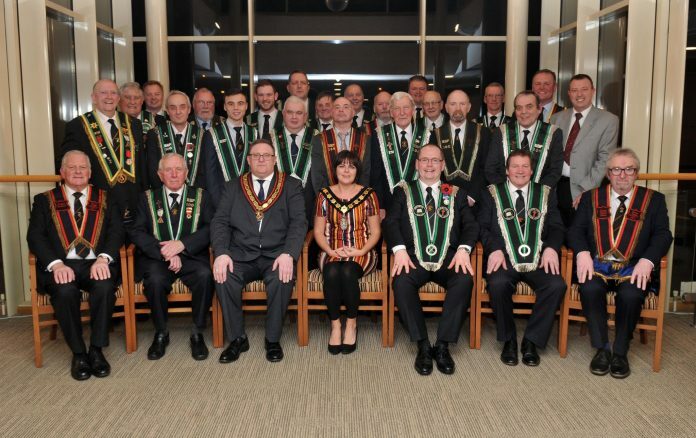 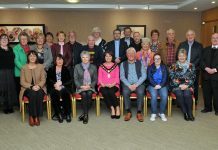 Lord Mayor of Armagh City, Banbridge and Craigavon, Councillor Julie Flaherty welcomes the Sir Knights from Maralin Black Watch RBP 100 who are celebrating their 125th Anniversary. 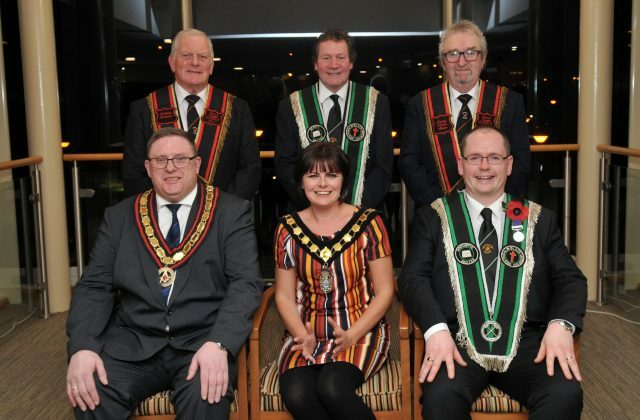 Included are, (front from left), Sir Knight Richard Fleming, District Lecturer, Sir Knight Davy Mills, Treasurer, Sir Knight Colin Cunningham, County Grand Master, Co. Down, Sir Knight John Dummigan, WM, Sir Knight Clifford Kidd, DWM and Sir Knight Ian Dunlop, Deputy District Master. 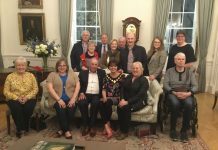 Also included is Alderman Ian Burns. Lord Mayor of Armagh City, Banbridge and Craigavon, Councillor Julie Flaherty with (front) Sir Knight Colin Cunningham, County Grand Master, Co. Down, Sir Knight John Dummigan, Worshipful Master RBP 100 Maralin Black Watch and (back) Sir Knight Richard Fleming, District Lecturer, Sir Knight Clifford Kidd, Deputy Worshipful Master and Sir Knight Ian Dunlop, Deputy District Master, at the reception to mark the 125th Anniversary of RBP 100 Maralin Black Watch.